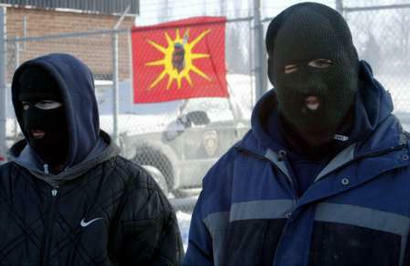 It was the building where Grand Chief James Gabriel’s Aboriginal police force — brought in to fight growing organized crime — was held hostage in 2004. The chief’s family home was famously torched by vandals during that standoff, which ended with the provincial force taking over policing. 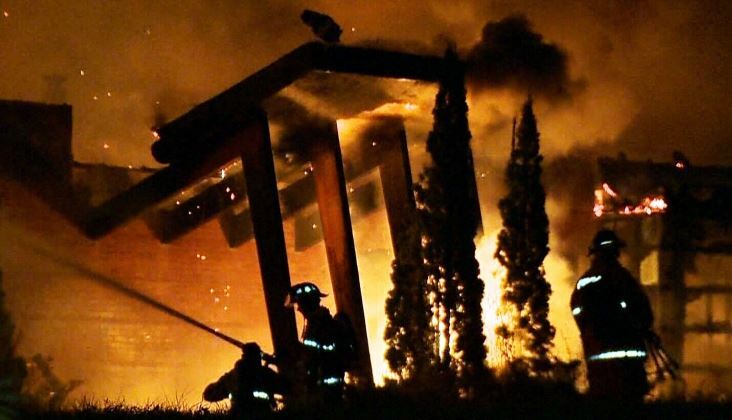 Provincial police are now investigating Monday’s early morning blaze and have not yet said what they believe caused it. Community members suspect young vandals. Kanesatake Grand Chief Serge Simon said he too believes young people were behind the fire. Simon said funding is needed to create jobs. Simon said community members already have trouble getting insurance, and that this fire could make things worse. Posted on October 12, 2015, in State Security Forces and tagged Kanesatake, Kanesatake police station, Oka. Bookmark the permalink. 2 Comments.